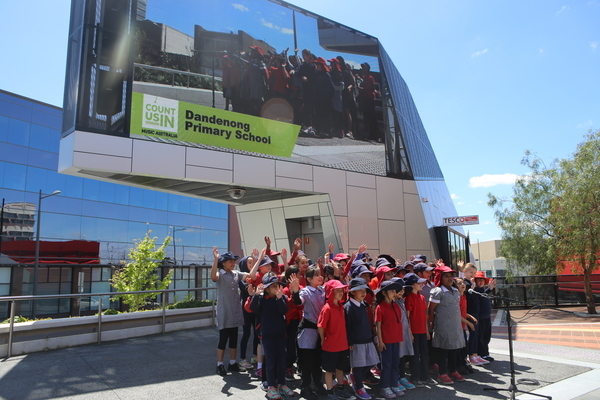 Dandenong Primary School students led the way. 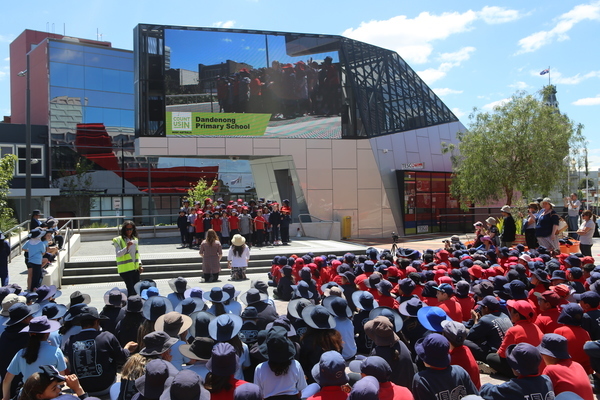 Students from Dandenong and Endeavour Hills sang as one with thousands of kids around the country. 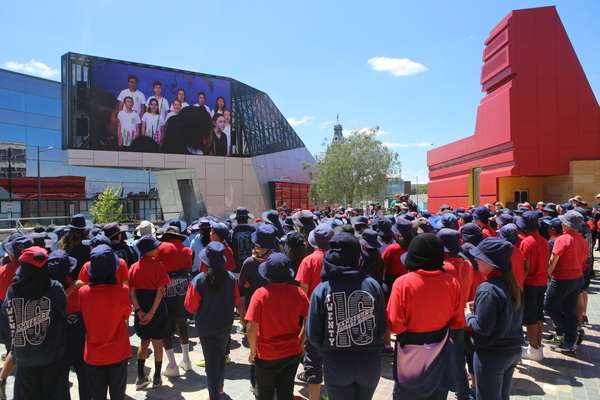 Dandenong Primary’s whole school and Grades 4, 5 and 6 from James Cook Primary gathered in Harmony Square, Dandenong, for Music: Count Us In on Thursday 3 November. They looked to the big screen to see the main event, hosted at Sydney Opera House, and sang Let It Play at the same time as children from 2500 Australian schools. Wooranna Park Primary in Dandenong North, Dandenong South Primary, Silverton Primary in Noble Park North, and Springvale’s St Joseph’s Catholic Primary and Athol Road Primary also registered to take part. Ambassadors and mentors Jay Laga’aia and John Foreman helped West Australian students Stella Kelly, 16, and Bonnie Staude, 14, Victoria’s Tom Meadows, 11, and Queensland 14-year-old Breanna Truscott to write the song. Music: Count Us In is in its 10th year and is designed to encourage young people to become passionate about music and music education. Organisers work with schools and teachers to provide quality music education and address the gap in specialist music education in many Australian schools. A 2007 National School Music Review pointed to inadequacies in music education in schools and included a recommendation to raise the status of music in schools – Music: Count Us In was the response.